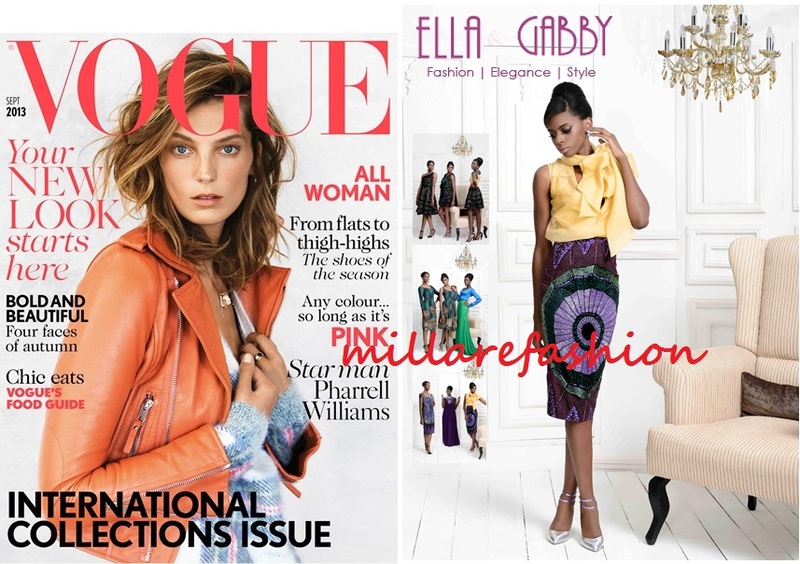 The September issue of British Vogue welcomes the international collections of African designers, in it pieces from Nigeria-based luxury fashion brand Ella and Gabby- Autumn/Winter 2013 “Tropical Sophistication” collection was profiled and featured along with other African, European, British and American design houses. According to the magazine, “Ella and Gabby is a luxury international fashion brand from Nigeria who focus on the beauty of the female form reflected through their beautiful fabrics and cut. They are one of the leading brands in the African market and you can see why! With collections boasting vivid colours, bold prints and intricate designs they really will provide you with a stand out wardrobe this Autumn. For decades, the September issue of Vogue is one of the most important ones, as September is usually referred to as the “Christmas” in fashion. September is a month when major fashion weeks around the world take place, hence making the feature of Ella and Gabby even more important and significant. The issue also features other international collections by showcasing seductive and sumptuous fabrics in Mario Testino and Lucinda Chambers' evocatively nostalgic shoot, set against the backdrop of sizzling Naples, while Miranda Kerr provides a provocative take on this season's coats in Under Cover - never has outerwear made quite such an impact.